Appearance: Ivonai is a small, slender woman at 5'3". She's never been big, largely due to being orphaned at a young age and struggling with nutrition during a rough time at Fort. Even so, she has a pretty face, an easy smile, and naturally blonde hair that she keeps at chest length. Unphased by much of what she's been through in life, Ivonai still bears scars from knife fights on her arms and shoulders though she's not ashamed of them. She wears tanktops when the weather permits, enjoys the rain on the island, and has a dress or two that she'll take out when she's feeling particularly pretty. In her more practical moments, or when she's working around the weyr, Ivonia is dressed in simple pants and a button up but sleeveless shirt. Quick to volunteer where needed, she's found in the kitchens, hauling excess rock out of tunnels being worked on, or wandering the tunnels lighting glows where no one wants to as she's not afraid of spinners or tunnelsnakes. She's generally walking with a bit of a bounce to her step and with purpose, looking for the next task or thing to be done with a wellspring of energy. Response to 9th Pass Catastrophe: Ivonai narrowly survived Fort Hold by stealing from others and through the random acts of kindness from others. Refusing to become a whore, she begged and stole instead. Careful not to fall into any gang that could take advantage of her, Ivonai instead relied heavily on N'dar as she grew up and they grew close. Her lack of affiliations with any gang, however, meant that she was frequently on the move which meant she was often malnourished - but she was free and her own person. Thankful for every day she fought to have. Response to dragon color mutations: Dragons have always been Ivonai idea, and ticket, to a better life. No matter their color. She only became more aware of the politics involved in the mutations when N'dar became a Rider and she still thinks it's a people being nitpicky. Be thankful for what you have. Likes: Wandering the Tunnels : One of her favorite tasks has always been lighting glow baskets in the deeper tunnels. While it would seem a lonely, or even nervous, task she actually quite enjoys it. Exploring the tunnels, providing light, ensuring people can find their way… It's exactly the sort of thing she likes doing. The quiet and seclusion doesn't bother her at all. Oiling Dragons : Not something that a weyrfolk lady gets to do, but it's a chore that she actually enjoys. If that was a regular task she could be assigned, it'd be something she'd do all the time. Mostly because a quiet part of her wishes she could've been a candidate and impress one herself - alas. Food : Arriving at the weyr, and actually being granted rations, is one of the greatest gifts. The weyrfolk never understood how great they had it. Complainers : Seriously. Unless someone has had it really, really, really rough then everyone can just shut up and get to work. Only way to make it better is to get on it or make a change. Injured Wher : Which should be obvious, but it conflicted heavily for her when she was growing up and she participated by necessity in wher fights with her small green Ivisk. It was never something she enjoyed, but did anyway as a means of living rather than being a whore. It was a world she became a part of despite her very real resentment for it all. Gold Flights : Being mated to a Bronzer means this sorta thing is just a fact of life, and while she does encourage him to participate, she always secretly hopes he loses. That being said, Ivonai does hate gold Flights and gets anxious every time they happen. * STRONG WILLED : Ivonai has been through a lot - living on the streets and tunnels in Fort Hold, stealing to survive, being a wher fighter - and she doesn't let it get to her. She's moved on, she smiles often, and she's accepted that the things she's done and the people she's killed before are in her past. * SURVIVOR : While the Ivonai who lives and works in the weyr is a much softer lady than the one who fought to survive in the Hold, she is just that - a survivor. She will do whatever she must to stay alive - up to and including killing another. Her life, and Nal's / N'dar's, and her children's, are the most important thing and all that ultimately matter. * HELPFUL : When she's working, Ivonai is the epitome of the most helpful person ever. She does whatever she can to be helpful as it's her way of making the world a better place. * QUICK : She's small, not very strong, but if it came down to a fight, Ivonai is quick. Don't underestimate her just because of her size. * DEFT HANDS : Ivonai spent a lot of time as a thief and that hasn't really left her. While she doesn't go out of her way to steal all the time, she has quick, fidgety hands that seem to have a mind of their own. For basic, or semi-complicated tasks, that can be a good thing. * CODEPENDANT : So much of her world revolves around N'dar that she'd be well and truly lost without him. Especially now that they're at the weyr and more of an established family with children. * PHYSICALLY WEAK : Without a blade, Ivonai isn't much of a threat at all. Her punches are laughable and she's no weight to throw around. Really. * NARROW MINDED : Ivonai has a hard time envisioning anything beyond what she's already made her mind up about. While she is very free thinking, she can't empathize or understand other people's mode of thinking - like she can't comprehend why traditional people think the way they do or, if someone disagrees with her, she just thinks they're wrong because they disagree with her. She's always right. * CONFRONTATIONAL : Though she's tiny, Ivonai has never felt helpless. As such, she's never understood that maybe she shouldn't get in fights with people. So she doesn't back down and she's always willing to speak her mind. * KLEPTO : She likes taking things. It's just… it's bad and a force of habit from desperate times. Things she doesn't even need or want. If she gets caught, she'll laugh it off and apologize. Otherwise, she gives the things she finds to her kids. * ROMANTIC: N'dar has been a constant in her life and, in a very traditional fashion, her one and only. Her soul mate. Though he's been with others during his stint as a candidate, Ivonai has never and she is very much in love with her Bronzer. * MOTHERLY: Having never been healthy enough to carry babies to term while she lived at Fort Hold, she cherishes the family they have now at the Weyr. This doesn't extend to the other children at the creche, but she dotes on her own babies with stolen gifts. * GRATEFUL: She wouldn't say it's loyalty, but rather she is very grateful to have been able to work and live at the weyr. For escaping the terrible life of the Hold and she wants to be able to pay that back - to help others and hopefully, in some way, save them. * PLAYFUL: She's a happy lady who smiles often, who plays with her children, who laughs and finds humor in life when she can. * WISTFUL: Ivonai wishes that she could've been a lot more in life. A crafter, a rider - which means she's picked up on a lot of skills but she's not a master / journeyman or the like at any of them. She volunteers a lot, wants to help out where she can, but she'll only ever be a weyrfolk. The Magic Touch: She fidgets with her hands when she's bored - picks at things, idly braids a strip of cloth she carries around, or plays with her hair. Father: Unknown. Some dude that visited a brothel. * 2563-2568, 0-5 Born to an older whore in a brothel in Fort, Iarammie spent a lot of her time – or as much as she could – pregnant. Not because she liked children, mind, but because it got her some ‘special’ treatment by the owner. That special treatment being some extra food and some time off as she came to term. Once the babe was born, however, Iarammie wanted little to do with the girl. She was at best an absentee mother, if she could be called ‘mother’ at all. The only thing Iarammie ever gave any of her children were their names. Everything else was ‘charity’ from the brothel, the other women, and it became quickly apparent to the young Ivonai that the brothel was not a place she wanted to be. Though she never celebrated her name day, she ran away from the brothel shortly after turning five. She wanted nothing to do with her mother, the dirty men that lived and visited there, or the things that took place there. * 2568-2572, 5-9 Ivonai learns pretty quick that life in the tunnels and streets of Fort are as unforgiving as her mother had been. Because she’s small and had already learned to be out of the way, she takes to stealing easily. Though she’s caught a handful of times, she does get away and learns from it. Early on in her ‘thieving career’, she runs into another ‘orphaned’ boy by the name of Nal. She takes it upon herself to provide for him, stealing to feed and clothe both herself and him. It’s during one such bout of scavenging that she comes upon a mostly destroyed flit nest. She hoards some of the eggs to eat for later – cooks up two for them when she finds them. In the process of saving the eggs to eat for later, one does end up hatching. A frosty blue that Ivonai ends up keeping and naming Snow – but only after she makes the baby flit promise to help keep them alive. ( The poor creature had no idea what was going on, it was just hungry. ) However, after feeding Snow the other egg and hard scraps, the tiny creature ends up proving to be invaluable at helping them steal – either being a distraction or outright stealing things for them. It’s quite lucky for them, and Snow, that flits are highly mobile even after being born. Ivonai learns a lot from the little flit and they help eachother to not only survive, but provide for Nal as well. The older they get, however, the harder it is to be unnoticed. * 2572-2580, 9-17 Inevitably, both Nal and Ivonai are drawing too much attention to themselves and need more food than both she and Snow can steal to keep the three of them adequately fed. Though Nal is a turn younger than her, the pair of them hatch a plan to get him involved in one of the many gangs around Fort. After a handful of weeks figuring out the best way to get involved, the pair decide to get him a wher. Ivonai and Snow steal an egg from one of the Wher Butchers so by the time Nal opts to join a gang, he has a growing wher to help ‘sell himself’ to them. Eventually, it works. Though he gets into some scuffles getting into the gang, they take him in and use him for courier work – and ‘training’ – as his wher grows up. Ivonai becomes his secret. She steals some to keep herself fed while he gets himself settled in the gang but they meet up occasionally. It isn’t until his wher is grown, and Nal has filled out some that he finds his place in the gang and invariably a place for Ivonai to stay with him. The handful of times that she’s seen with him, it’s handwaved that she’s a drudge whore – lower than the whores in the brothel – and no one thinks anything more of it. Though Nal and Ivonai are together during this time, malnutrition prevents Ivonai from carrying any child to term. She keeps this mostly to herself, not wanting to distract Nal from his training and the careful secret they have to maintain with his place in the gang and hers on the streets and tunnels of Fort. Nal falls into the wher fighting pits to provide for not only himself, but her as well. Ivonai takes to watching his back – never a part of the gang but always involved, carefully infiltrating the wher fighting rings so she can look out for him or be around in the event he loses or back him up when he needs to collect earnings. Having been more of a fighter than Nal growing up, Ivonai ends up killing for him on a handful of occasions. To keep him from being ‘retired’ early, to keep his wher from being hobbled and a fight thrown, or to keep their secret. It’s not a perfect life, but they make it work. Some time during her 16th turn, Nal and Ivonai secure her a Green wher for additional protection. She’s a small thing but Nal and Ivonai start teaching her early on to be ferocious to be a vital member of their ‘family’. * 2580-2581, 17-18 Later in the turn, everything seems to fall a part. Nal loses a fight, fairly, and is without a wher. While not detrimental in and of itself, the next day a Search Rider pegs him as Dragon Rider material. While the gang very much wants him to refuse, Ivonai and Nal both know that this is an opportunity he shouldn’t pass up – even if it means he’ll be leaving her behind for an indeterminate amount of time. Only at her insistence does Nal take the Search Rider up on the offer with the promise that as soon as he’s able, he’ll come back for Ivonai. When Nal leaves, Ivonai is left with Snow and a growing Ivisk. Suddenly alone, she falls back to thieving – which works for a time. Certainly with Snow’s help. But it’s hard to go unnoticed, especially to get all she needs to not starve. Ivonai eventually shacks up with the gang that Nal had worked with and, because she’s quite a fighter, doesn’t end up as a whore but a pick pocket and thief for them – with the understanding that once her wher is old enough, she’ll be a fighter. * 2581-2583, 18-20 When Ivisk became mature enough to fight, Ivonai didn’t have much of a choice. Too small and hardly strong enough to throw her own weight around, she became reliant on Ivisk to do so for her. The green wher was entered into the fighting rings and they made a living off of it – Snow became her look out as she had been for Nal. For two turns, Ivonai and Ivisk managed. Though she didn’t win every fight, Ivisk still did well for herself and Ivonai never had to replace the wher, though there were several weeks when the wher was out of a fight for a time or two to heal up. It seemed like a nightmare that might not ever end until finally, one day, Nal shows up with a dragon. Just like he promised. And he’s N'dar now. * 2583-2587, 20-24 While Ivonai had never doubted N'dar, it almost seemed surreal to be brought to Fort Weyr. The differences between the two were certainly night and day and the weyr definitely brought her closer to the danger that is Thread. Or rather, closer to the realization of what they’re dealing with. Growing up, Thread was just a thing in the sky over head. At the weyr, it was ‘the enemy’. To suddenly be with him though, and in the structured safety of the weyr with Snow and Ivisk, is something else entirely. It takes Ivonai several weeks to rest up and essentially recover from her time at Fort Hold, but she falls into the work force at the weyr readily enough once she has. Though she worries for N'dar, she sees the importance of what he does and tries to find ways around the weyr to help out as much as she can while he’s flying Thread. It comes as quite a shock to her, initially, when she becomes pregnant at the weyr – quite quickly, but she’s overjoyed as she’s able to carry the babe to term and they have their first child. A little girl by the name of Navona. Though it takes some convincing, Ivonai does drop the girl off at the creche but only when she’s working. She ensures she’s the one to feed and tend the little girl when she can – and takes breaks throughout her working shift to do so – as well as making space for the babe in their weyr so the little girl can sleep with them, when they sleep. Involving herself, and N'dar, as much as they can be involved given the state of the weyr and how Thread is falling. Much to Ivonai’s joy, she’s able to have a little boy later on. The rationing of meals and hard, but steady work seems to agree with her. She takes to mothering him as she did her first little girl, wanting to be as involved in her children’s lives as she can be while still being a vital member of the weyr. * 2587-2590, 24-27 When Thread stopped falling, Ivonai was not the only one who couldn’t believe it. To have not only herself, but her weyrmate survive, to see the end of the Pass was everything she could hope for. Even more so that there is an island discovered that might provide them with real food and a better future. Arriving at Fort Isle renews her sense of purpose and, if anything, makes Ivonai very grateful to the weyr for all that it’s provided for her and her family. She’s one of the first weyrfolk over to help with construction and set up – though she has no formal training, she’s a hard worker – and not even when the Hunters are revealed is she dissuaded from Southern Winds being her new home. It just means they have something new to deal with and she’s certain that those in Jungle Wing will take care of it. Not too long after their arrival on the island – in 2588 – she has another babe. Having come from literally nothing in Fort Hold to a beautiful island and her family surviving the Pass, there’s not a lot that Ivonai isn’t thankful for. Nor does she tolerate anyone being overly ‘negative’ about the weyr that has given her and her family so much. The loss of Nal’s wher, Nalesk, was… well, it was a set back. Ivonai refused to allow herself to think of it as anything else. To fall into the trap of negative thinking. So what they’d lost their cozy den and he’d fallen out of favor with the gang? Such things were fickle and easily won back, in due time. For today, though, Ivonai and Snow were on the look out for something easy and quick to eat. Later in the evening they’d slink into the deep tunnels of Fort Hold, skirt past brothels and gambling Dens, and find somewhere they could rest. Somewhere warm. Unfortunately for now, she had to be out and about. Looking for a good mark to either steal from or outright assault and mug. She was that hungry. That desperate. Nal was down a side alley, keeping a separate lookout while she was in the adjacent. Ideally, any well meaning Peacekeeper would run into Nal before her and he could suitably distract them if… and only if… she managed to find a good mark. Ivonai nor Snow paid any mind to the dragon that flew over head. Not like they could eat it. The same chill that had Ivonai on edge, and particularly hungry, seemed to be keeping most either inside or in the tunnels she didn’t want to hunt in. Some were particularly rife with gang members and they were harder to deal with, more apt to fight her. More likely to recognize her. Ivonai was about to call the evening hunt a loss when Nal came dashing in her direction, which immediately set the short, wiry woman on alert. Snow perked up on her shoulder and flared his wings, ready to take off and either become a distraction or a very painful nuisance. But Nal was alone. Anxious even. What fell out of his mouth had her own eyes going wide and a hand absently running through her short, dirty blonde hair. “I… You… You were searched?” Ivonai couldn’t believe it. It seemed too good to be true. A tentative smile tugged at her lips. That would mean… he could actually escape this terrible place. Snow calmed when it seemed there wasn’t an immediate reason for him to act, thrumming softly in greeting. He was nearly tossed off Ivonai’s shoulder when she pulled Nal into a quick hug. “This is great news!” It hadn’t yet occurred to her that he had been searched – not them. A small, pale egg. Almost white. Barely wrinkled. Easily pilfered by Ivonai and not really missed at all given the size. Measurements: Listed in the wher information. When Ivisk hatched, she was so small Ivonai almost worried she'd grabbed a flit egg. Obviously not, but still A tiny, dark green wher that has eventually lightened up to mint green with darker high lights and wings - even though they're mostly useless. Though she's small, and grew to be on the small end of green whers, Ivisk is a ferocious beast. With no formal training, she's a bit feral and scarred up. But she means well. Empathetic: Ivisk is very attached to Ivonai and though she only knows rudimentary commands, she has been trained to react to her since she's a fighting wher. Bouncing : She likes running around, jumping in place, and pouncing on other wher and dragon. Usually it's in a playful bout, but she can easily turn aggressive. Babies : No matter how aggressive Ivisk might be, she's very cuddly with Ivonai's children and likes being a baby sitter. Fighting : Ivisk doesn't get angry - to her, fighting is just another game. A painful, burst of motion and energy game, that she has to win for Ivonai. People : Really. She hates them. Only N'dar and family - her babies - are the exception. Otherwise she wants nothing to do with people and she'll let them know. People have proven to be terrible and bad, and she'll bite. Being collared / muzzled : Any sort of cage, tether, muzzle etc she hates. Ivisk thinks she's a good wher and doesn't need any of that. Put her in a cage, tie her up, etc and she's a monster. * FEROCIOUS : Ivisk is a beast of a wher for her size and fights with an 'all in' ferocity. When she's in fight mode, she doesn't turn off until she's killed it or she's dead. * SMART : For a wher. Though Ivisk has never been formally trained, she still follows Ivonai around and seems to intuitively know what her handler needs - as well as staying out of her way. She also seems to know the difference between when to attack and when not to. Usually. * NO OFF : Once Ivisk has attacked, she has no 'off' switch. She has to be beaten off, pulled off by something bigger or stronger, or what she's attacking has to die. Commands don't work on her at that point. * AGGRESSIVE : Ivisk is people aggressive. During her time as a fighting wher has left her very leery around people in general, so she doesn't like being touched, talked to, or approached by strangers at all. She'll bite without warning. Only N'dar and Ivonai's children are the exception. She runs 19.6, force catch, locked run. 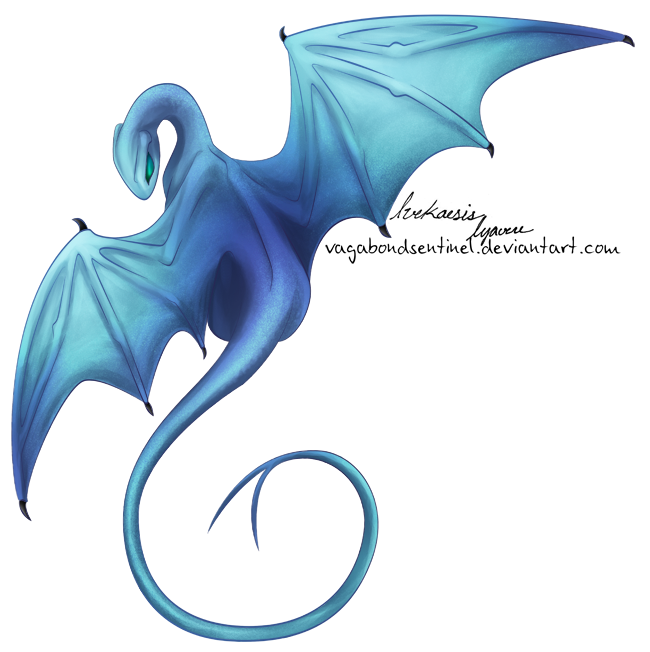 Snow was a small, scrappy baby flit that hatched from a chilled egg, so he was lucky to have hatched at all. Hungry from the get go, he looked much as he does now – like chilled snow – and that’s why he was called as such. A simple name from a little girl. He has some scarring on his body now from fights he’s been in with other flits and people, mostly along his chest and wings, but they haven’t slowed him down. Mind Voice: Snow is a very communicative flit with precise pictures. While not formally trained, he and Ivonai have a very tight partnership gleaned over many a’theft, so his mental pictures are clear and concise. Stealing : Shouldn’t be a surprise, considering his upbringing, but he’s damned good at it too. Not just the stealing part, but the distraction part as well. He can do cute flips, trill something resembling a song. Whatever needs done so that either he can steal whatever is on your plate or Ivonai can. While his bonded isn’t much for stealing anymore, he still does. Mostly food though. People Watching : Serving as a look out for part of his life means Snow has been trained to be very, very observant. He’s not a flighty little flit, but rather, the sort that watches people very intently. He notices just about everything that goes on around him and isn’t afraid to bite someone if he thinks they’re trying to pull something he doesn’t like. Invading his space : Don’t get too close to him, and don’t pet him without permission. Snow is like those cats that look like they want to be petted, but he doesn’t. Ever. Neither will he move away to indicate he doesn’t want to be touched. He’ll just bite. Wher : Ivisk, obviously, is the exception but he has been almost eaten too many times in his life to care for them. He’s very hostile around wher and isn’t afraid to go for the eyes when necessary. I love my serious wittle blue flit.